Since the wi-fi camera company Dropcam sold to Google’s Nest for $US555 million in June, its employees have been struggling with the transition, particularly because of the leadership of Nest CEO and former Apple employee Tony Fadell, according to Connie Loizos of StrictlyVC. Some of that frustration gets vented through Glassdoor, the career reviews site, where Fadell has a 46% approval rate from current and former employees. One of the biggest complaints about the acquisition seems to be that Fadell has instated a much more hierarchical culture than the “Dropfam” is used to. Employees told Loizos that almost every decision has to go through either Fadell or Nest cofounder Matt Rogers, which leads to a bureaucratic mess of meetings all day. “Anyone at the director level or up spends their entire day in meetings, many of them duplicative meetings about the same subject, over and over to the point where a lot of people have complained,” one employee says. Other employees reportedly feel like Dropcam never should have sold to Nest in the first place. Dropcam investor Mark Siegel agrees, telling Loizos that the company, which is reportedly growing its revenue eight times as fast as Nest, was on a “terrific ramp,” and could have been built into a successful independent company. “It just felt like we’d been chopped off at the knees,” one employee told Loizos. “Projects are cancelled, team is splintered, and the mojo is gone,” another wrote on Glassdoor about life post-acquisition. 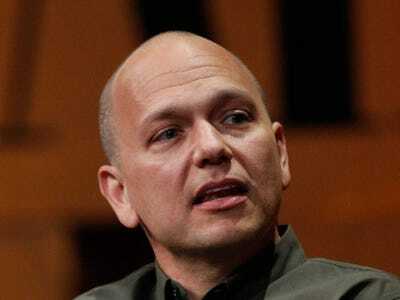 Before founding Nest, Fadell was a senior manager at the notoriously hierarchical Apple. Read the rest of Loizos’ piece here. Business Insider reached out to Nest for comment.